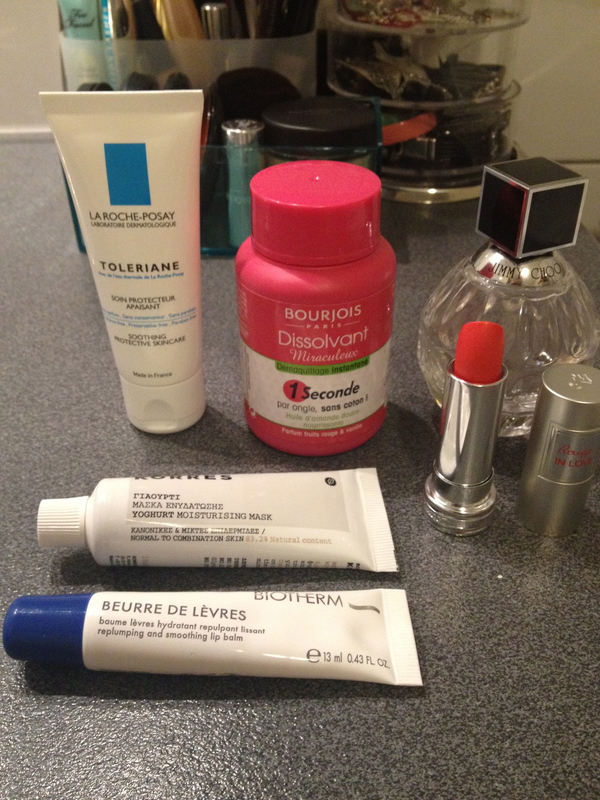 La Roche-Posay | I love nice things! So, I picked up a few new things =) Part 2. Then there`s the Korres Yoghurt moisturizing mask for normal to combination skin. I had actually only heard about this mask once, but when I saw it at the airport on my way home I thought I`d get it, as it wasn`t that expensive. (It`s only 16 ml/ 0,54 fl.oz though…) I tried it the same night, after a good and much needed scrub. It`s only supposed to be left on for 15 minutes, but I actually just kept it on. (After 15 minutes there wash`t really anything to rinse away anyway.) Maybe I put on too thin of a layer, I don`t know. My skin loved this mask! It felt so good, and very natural. A little goes a long way as well, and it`s quite liquidi, so I thin this little tube will last a while. I look forward to trying more of their products in the future! The Biotherm lip balm is actually the one thing I didn`t like out of the things I bought. I tastes so bad! It kinda tastes like body lotion or something. I don`t care if it does great things, you just can`t make a lip balm taste bad. End of story. Blah. The lipstick in the picture is Lancome Rouge in Love, shade 146B. It`s a bright coral, great for summer. This is actually my first high-end lipstick, and I`m really happy with it. I don`t have all that many lipsticks, and the ones I have are either really “wearable” pinks or bright reds. I really wanted something a bit different for summer, and one that didn`t have any glitters or shimmer at all. This one was perfect! (Although, it of course is not the most flattering of colors when it comes to your teeth. The do look a bit yellow…) Still, very happy with this one! Yesterday I mentioned some shoes that I got. Here they are! 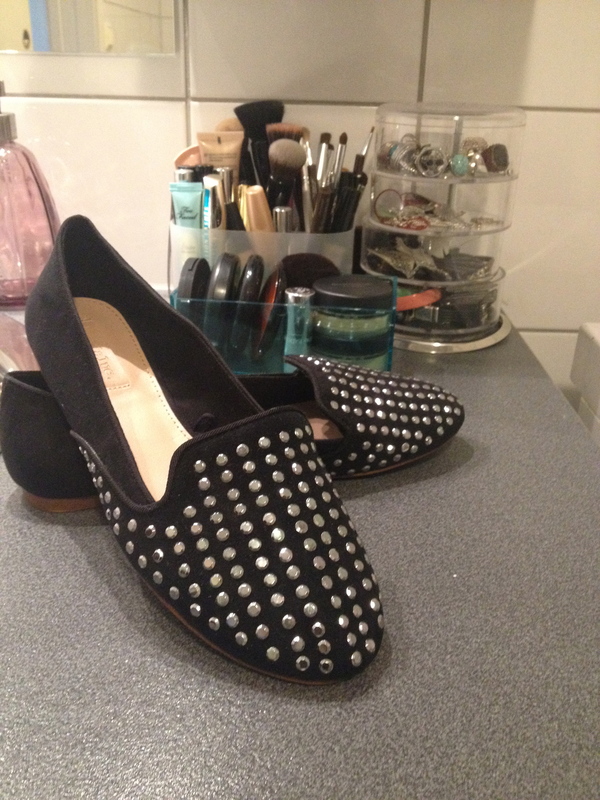 I got them at Zara, and I love them! I haven`t worn them yet, that`s why I even let them up on my bathroom sink area. Aren`t they just glorious? !